The different elements on your iPhone exist separately, in many cases. In order for an app to access the data of another app, you need to grant permissions for that interaction to occur. One common type of data that an app may wish to access is your Contacts. For third-party messaging apps, and apps with a social component, this makes it easier for you o see which of your contacts are already using that app. But you may have granted contact permissions to an unwanted app by mistake, or you are simply curious about which apps have the ability to view your contact information. Our guide below will show you where to go on your iPhone to discover which apps have been granted these permissions. You can even revoke those permissions, if you would like. The steps in this article were performed on an iPhone 7 Plus in iOS 10.3.3. 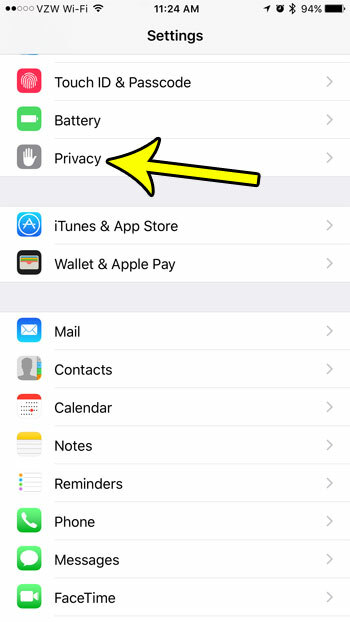 Following these steps will allow you to see which apps on your iPhone have been given permission to access your contacts. You will be able to revoke this access for any of the apps shown on the final screen. Step 3: Touch the Contacts button. 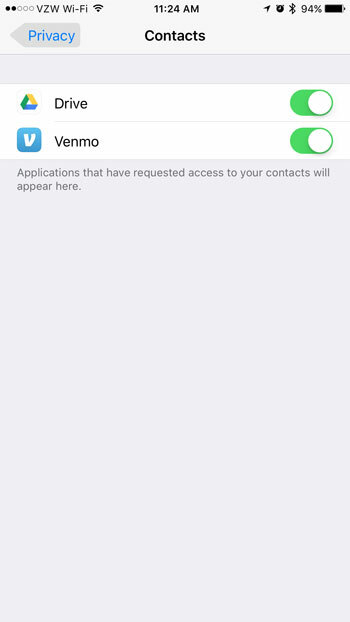 Step 4: The apps shown on this screen have permission to access your contact information. 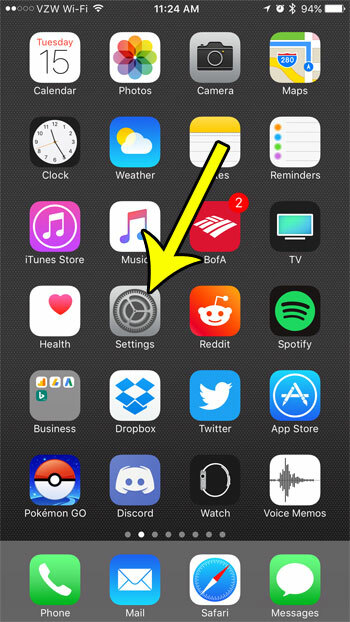 You can tap the button to the right of any app for which you would like to revoke this access. Note that revoking contact access for an app that relies on that data can result in a worse experience with that app. Would you like a separate way to access your contacts without going through the Phone app each time? 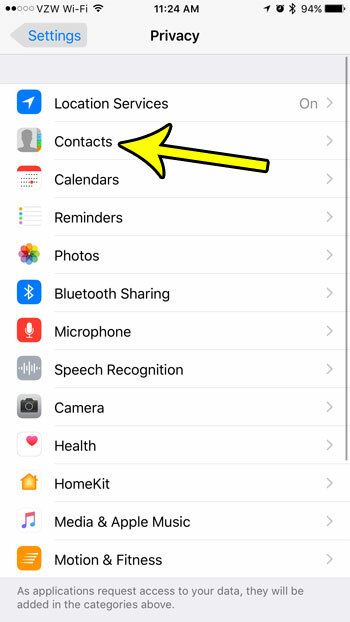 Learn how to find and move the iPhone Contacts icon to your Home screen so that you can view your contacts with the touch of a button.